Rubber injection molding are primarily used in process environments that require enhanced molding pressure or transfer molding pressure. Rubber moulding are very useful when it is difficult for vacuum bags to enter recessed areas of complex cavities. For example, when a vertical part of a stiffened panel is formed, expansion of rubber mold subjects process pressure to the side of vertical part. There are two basic forms of application for rubber mold, fixed volume and variable volume. Rubber industry is one of the important basic industries of national economy. 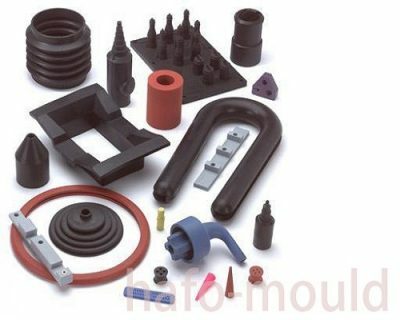 It not only provides people with light-duty rubber products such as daily use and medical products that are indispensable for daily life, but also supplies various rubber production equipment or rubber parts to heavy industries and emerging industries such as mining, transportation, construction, machinery and electronics. It can be seen that there are many types of products in the rubber industry, and it has a very broad backward industry. In addition, silicone rubber products, which can be finished by rubber mold company, are made of silica gel and rubber as the main raw materials for production of various silicone rubber products. Silicone rubber products are closely related to people’s lives, such as remote control, keyboard, pos machine, scanner, mobile phone, electronic dictionary, mobile phone case, etc .